The Dead Sea is called dead, because of the high salt content in its waters, it was believed it can not sustain fish or other marine organisms. But this is not exactly true, although this thesis stood a long time without dispute. In 1959 the water of the Dead Sea was found to contain a wide and diverse world of plants and microorganisms. This is the deepest salt lake in the world, it is also located in the lowest portion of dry land. The Dead Sea is located in the Jordan Valley, between the West Bank, Israel and Jordan. The lake is divided into two parts - north, which is deeper and south, which is shallow (only 6 m), which contains the large pillars of salt, resembling icebergs. In summer, temperatures there reach 50 degrees centigrade and waters of the Jordan River and several smaller streams evaporate quickly, leaving a sludge of clay, sand, rock salt and gypsum at the bottom of the lake. During the wet winters into the Dead Sea is received on a daily basis, over 6, 5 million tons of rainfall. It was found that in the absence of evaporation, the level would rise by 3 meters annually. Dead Sea is closed and does not swell. In this deepest part of the Jordan Valley, it covers an area of 1020 sq. km, is 76 km long and 17 km wide. Its average depth is 161m. and in places reaches 400 meters below the land. 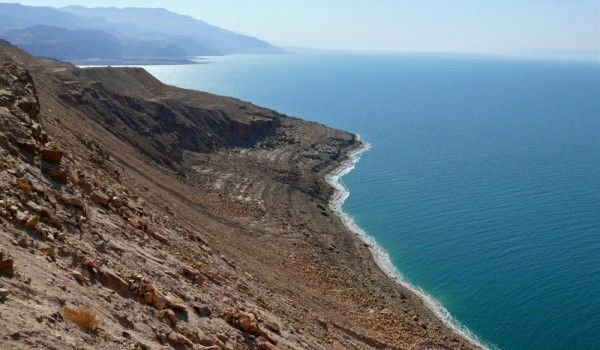 If in one liter of ocean water is contained 35 grams different salts, then in 1 liter of water from the Dead Sea - 300 grams. And the composition of salts in the Dead Sea is substantially different from other seas on our planet. If they prevail with cooking sea salt component of 77%, in the water of the Dead Sea its content is only 30%. The unique chemical composition of the waters of this Lake, facilitates the treatment of many diseases, some of them successfully treated only at the Dead Sea. Curative mud here has the highest effective therapeutic content in the world which has no equal on Earth. The area of the Dead Sea was inhabited as early as antiquity. In the north of the lake is the city of Jericho, which is considered one of the oldest inhabited cities in the world. Thousands of years the unique conditions here attract countless visitors who come here to immerse themselves in the salt lake without sinking.